The situation in other categories is no different. Bengaluru’s Ashish Ramaswamy (101) leads his Arka Motorsports team-mate from Coimbatore Nikanth Ram (84) in the premier Indian Touring Cars class that has seen some high quality driving. 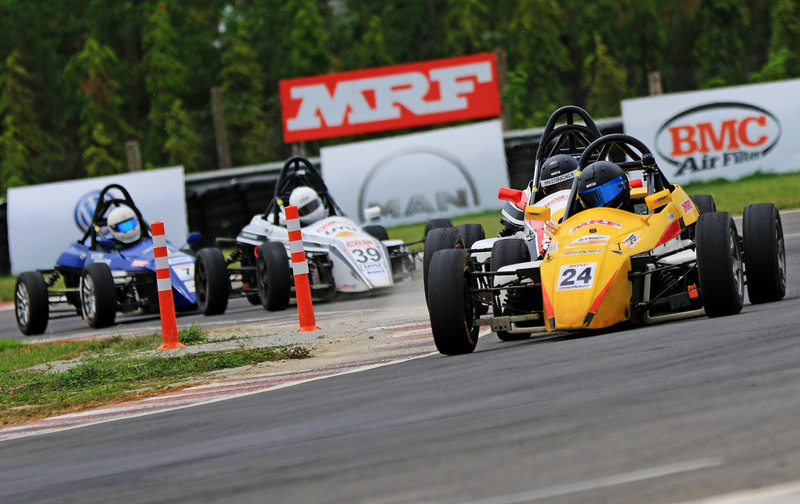 If Ramaswamy started the season with a double in the first round, veteran Arjun Balu (Race Concepts) marked his return to racing by winning both the races in the next round while defending champion Arjun Narendran (Arka Motorsports) emulated the feat in the third round. Balu (68) and Narendran (50) are placed fourth and fifth, respectively, behind another veteran from Coimbatore B Vijayakumar of Prime Racing (78). A mere half-a-point separate leader Srinivasa Teja (Perf ormance Racing) and Varun Anekar (Race Concepts) in the Super Stock category while Vinod Subramaniam (73.5) of Team N1 leads Rangasamy (68) of Performance Racing in the Esteem Cup and Prabhu AS (62) of Arka Motorsports is ahead of Chrys D’Souza (59) of Unimek Racing in the Indian Junior Touring Cars. Equally competitive has been the Formula LGB 1300 class which is developing into a three-cornered battle involving Nabil Hussain (MSport) who heads the leaderboard with 95 points followed by Ashwin Datta (Momentum Motorsports) and Sohil Shah (MSport) who are tied second with 83 apiece. Kolhapur’s Dhruv Mohite, with three wins in five starts, leads the Volkswagen Ameo Cup with 220 points, but needs all the points he can to stay ahead of Saurav Bandyopadhyay (214) from Mumbai and Hyderabad’s Jeet Jhabakh (204) who have won one race apiece.